Rest in the Shadow of the Cross, Persevere, and Avoid Irritability! We are told: you bow down to the tool of execution? You revere a God crucified upon the cross? But the death of God on a shameful piece of wood is a counter-intuitive concept! But my beloved, seek not Christ through narrow, created, natural logic. In Christ is revealed the higher Logic of Love, the Logic of Truth, and this Divine Love of the Creator is victorious over the limited logic of our minds. The higher Logic of Truth, revealed in Christ, is unattainable to the prideful reason of the created human mind, which has abandoned the Light of Reason. 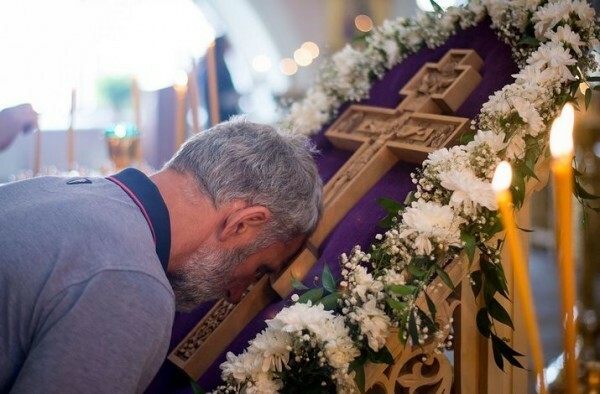 The Cross, as the symbol of the eternal power of God, of His love for mankind, will always be kept on the highest and most honored place by us Orthodox Christians, and we will not cease to bow down before it, as it is the source of our eternal joy and consolation. Yes, my beloved, the Cross is our joy and our strength. “By this sign, conquer,” spoke Divine Providence to the pious Emperor Constantine. 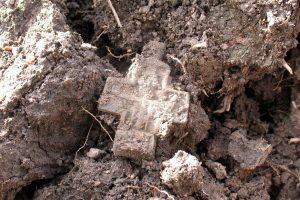 And this Cross became victory for us from the day the Christ—Divine Love Himself—came down to mankind, and especially from the day of His crucifixion. The cross is the genuine evidence of God’s love for mankind. Christianity is now under persecution. 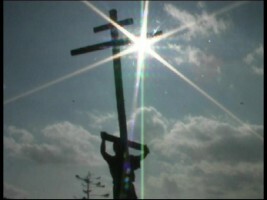 The holy symbol of Christianity, the Cross, is now mocked. Many Christians are embarrassed to cross themselves: it just isn’t done today, they say. We declare at every corner that only the Christianity of the Cross will hold the ultimate triumph over the world. We state unequivocally: where attention to Christ’s Cross wanes, where its meaning and power are diminished, there faith in Christ as the God-man, as the Savior of the world, weakens, there Christianity’s power is subverted. It is not through concessions to natural reasoning but through devotion to Christ’s Cross and through preaching the Cross that the path to victory over evil lies, the evil under which the entire world now groans in agony. Preparing for the glory of the Eternal Pascha, we bow down before the Cross. Already we praise the holy Resurrection. Hurry, those faithful to Christ, venerate the Cross, for only standing before the Lord’s Cross can you understand God, see the path described by Divine Providence, and love Christ. 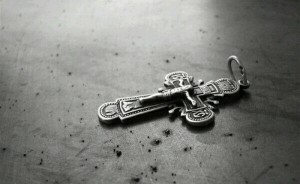 Holiness and Love intersect on the Cross. The Cross condemns and defeats the sin that separates us from God; Love shines forth from the Cross, which unites us with God. The Cross beckons us, Christ’s Golgotha calls us, and today’s Golgotha of Christianity call us to love the Crucified One, and through Him, love for one another. May the thoughts of those separated from each other meet again at the Cross: spouses, friends, and all who are brothers in Christ. Amen.